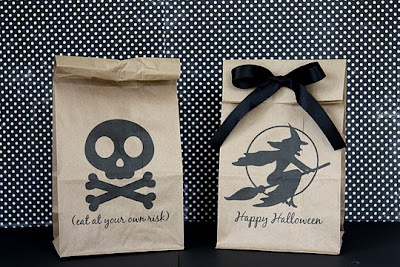 These printable Halloween paper sacks make great party favors or a really fun school lunch bag. I especially love the skull and cross bones. Eat at your own risk...we could use that one all year long! You can download these free printable Halloween Lunch Bags over at it Is What It Is.